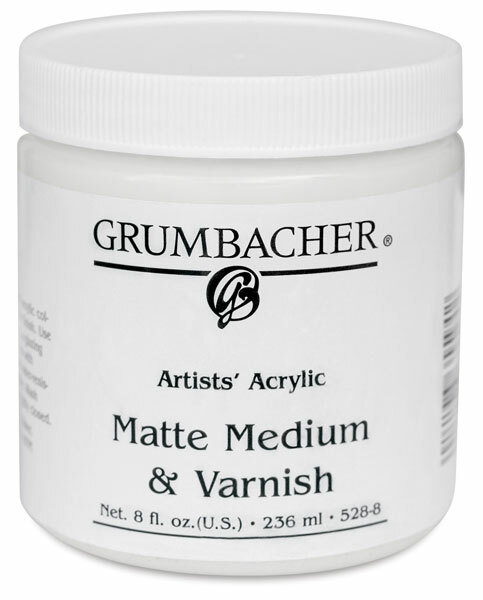 These artist-grade acrylic mediums can be used to alter paint characteristics such as flow, transparency, gloss, and drying time for a virtually endless array of creative effects. 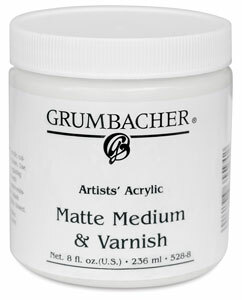 When mixed with acrylic paints, Grumbacher Artists' Acrylic Matte Medium & Varnish increases flow and imparts a matte finish. It also may be used on its own as a final varnish or as a glue for collage. It dries to a flexible, clear matte finish that's fully water-resistant.